FREE Crochet Baby Blanket Pattern. Crochet this baby blanket in any colors, in any yarn and to any size that you need from a baby blanket to a full-sized afghan. 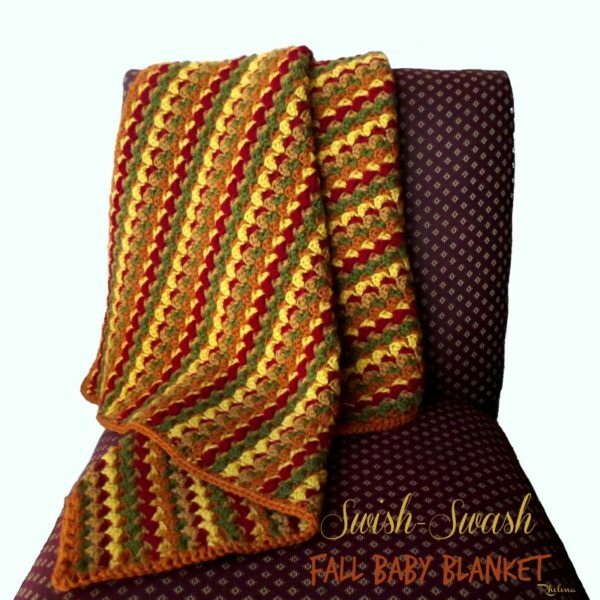 The crochet baby blanket is shown here in five pretty fall colors, however, you can choose any colors that you like to match any season or holiday. 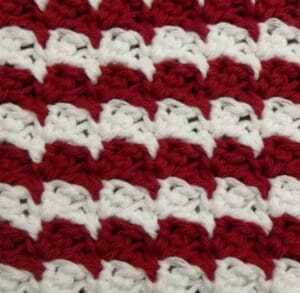 Plus, you also have the option to crochet this with three or only two colors. With three colors, you would continue to change to a new color after each row. However, with two colors you can get a totally new look by changing after every two rows. 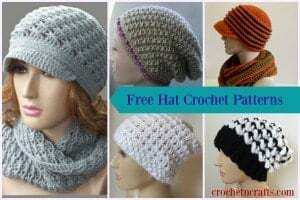 Another bonus of this pattern is that you can basically crochet this to any size that want by increasing the foundation chains in any multiple of 3 +1. And because it’s so easy to adjust, you are free to use your favorite yarn and hook size that you have on hand. Carry unused yarn up at the sides. It is shown here in five colors, but three colors work just as well. The pattern instructs to change color after every row. However, for a totally different look, change your color at every two rows using only two colors. 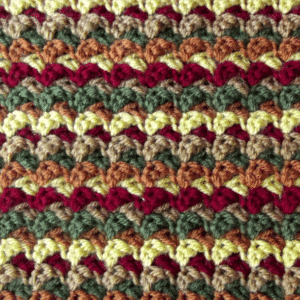 Click here for the crochet dishcloth instructions as shown below. With A, ch 100, or any multiple of 3 + 1. Rows 3-86: Repeat Row 2 changing colors after every row. I used 5 colors in this blanket, but 3 colors also look lovely. Carry unused yarn up at each side. Rnd 1: With A, ch 1, sc evenly around, working 3 sc in each corner. Join with sl st in first sc. Fasten Off. This blanket pattern is also available for purchase in PDF form at Ravelry, Craftsy and Etsy. And don’t forget to check out the collection at CPB for Crochet Baby Blankets.